Professor Horace E. F. Slughorn (b. between 1881 and 1921) was a pure-blood wizard, the Potions Master and Head of Slytherin House at Hogwarts School of Witchcraft and Wizardry. He was Potions Professor for over fifty years and Head of Slytherin before retiring in 1981. He was a friend and colleague of Albus Dumbledore, who convinced him to return to the post in 1996. Dumbledore enlisted the help of Harry Potter to accomplish this, together with the help of Slughorn's own fond memories of Harry's mother. After retrieving a memory from Slughorn, it became apparent to both Harry and Dumbledore that a young Tom Riddle had used information he finessed from Slughorn to achieve immortality. During the Battle of Hogwarts, Slughorn sided with the defenders of Hogwarts and engaged his former pupil in a duel. Horace was born in the late 19th or early 20th century into the pure-blooded Slughorn family. He attended Hogwarts School of Witchcraft and Wizardry from the age of eleven and was Sorted into Slytherin House. At some point after completing his education, Slughorn was employed, possibly by Armando Dippet, as Potions Master, around the same time as Albus Dumbledore's employment. Slughorn used Felix Felicis twice prior to 1998; once when he was twenty-four years old, and again when he was fifty-seven. This resulted in two "perfect days". Lucius Malfoy remarked that Slughorn was a "good wizard" in his day. Once back at Hogwarts School of Witchcraft and Wizardry, Horace took on the position of Potions master, and would eventually become Head of Slytherin House. He joined the faculty around the same time as Albus Dumbledore. Slughorn founded a small club consisting of students he thought were particularly talented, ambitious, clever, or simply well connected. This group would become known informally as the Slug Club. By showing extreme favouritism to these select pupils, Slughorn was able to benefit from their eventual success or fame, reaping rewards such as free Quidditch tickets, boxes of sweets, or simply the chance to give advice to high ranking officials at the Ministry of Magic. He tended to ignore students he felt weren't "high-fliers," such as Arthur Weasley, and later Arthur's son Ron. Still, he tended to treat all his students reasonably well. During the school year of 1942, he hosted a supper in his office with a group consisting mostly of Slytherin boys; most prominent among them was Tom Marvolo Riddle. After dismissing them from his study, Tom remained behind and questioned Slughorn on the matter of Horcruxes, and whether it would make him more powerful if he were to create six, therefore having seven separate bits of his soul hidden in the world, as seven is the most highly magical number. Despite being taken aback by Riddle's interest in such Dark Magic, he reluctantly agreed to give him an overview of Horcruxes, on the condition that everything they discussed remained between them. Using the information, Riddle later went on to create six Horcruxes, making himself immortal. It is likely that Riddle already knew most of what he needed about Horcruxes, but the fact that Slughorn had provided some of the the knowledge that made this possible was a terrible truth he would carry with him for the rest of his life. Slughorn remained at Hogwarts School of Witchcraft and Wizardry for many years after Riddle's departure, going on to teach many talented students, including his eventual successor as Potions Master, Severus Snape, and Snape's best friend Lily Evans, whom he particularly liked for her sheer cheek and natural flair for Potions. The extent of his involvement in the First Wizarding War is unknown. If, however, it was the same as the Second War, he likely went into hiding, fearing the Death Eaters would attempt to recruit him. In 1981, Slughorn resigned from both his positions at the school. In 1995, he went into a secluded lifestyle, moving from one Muggle house to the next, using his many and varied contacts to maintain a very comfortable lifestyle. His reason for doing so was because he feared Voldemort would attempt to recruit him into the Death Eaters. He felt so guilty, in fact, that he modified his own memory of the incident both to hide his guilt from others and also to shield himself from the terrible shame he felt. Slughorn was not able to hide forever, though, as he discovered one evening in the summer of 1996 when Albus Dumbledore and Harry Potter came to call in the Muggle village Budleigh Babberton. In an attempt to escape Dumbledore, Slughorn faked a struggle, wrecking the house, splashing his last bottle of expensive dragon blood on the walls and disguising himself as an armchair. He hoped Albus would be fooled into thinking the Death Eaters had kidnapped or killed him; in his haste, however, he forgot to cast the Dark Mark over the building. Dumbledore saw through this guise and forced Horace to reveal himself. Dumbledore feigned going to the bathroom, leaving Harry alone with Slughorn. After talking to Harry, Slughorn realised everything he had to gain returning to Hogwarts, like a more comfortable life, and not being on the run any more, plus the opportunity to recruit the "Chosen One" into his Slug Club. He agreed to return to the school on the condition that he received a pay raise, and was given Professor Merrythought's old office, instead of the "water closet" he had last time. Horace Slughorn: "All right, all right, I'll do it!" Albus Dumbledore: "You will come out of retirement?" Horace Slughorn: "Yes, yes. I must be mad, but yes." Albus Dumbledore: "Wonderful. Then, Horace, we shall see you on the first of September." In his first sixth year Potions class upon returning to Hogwarts, Slughorn offered a bottle of Felix Felicis to the student who brewed the best cauldron of Draught of Living Death. Using tips scribbled in a borrowed copy from a mysterious Half-Blood Prince of Advanced Potion Making, Harry impressed Slughorn with his attempt and won the lucky potion. Slughorn remained impressed with Harry in class, believing that the young wizard had inherited Lily's ability in the discipline. Later that year, Dumbledore would task Harry with coercing the full memory of Slughorn's conversation with Tom Riddle from the reluctant Potions Master. After a disastrous first attempt in which Slughorn shouted at Harry and slammed the classroom door behind him, Slughorn became determined not to give Harry another opportunity to question him, staying out of his way in class and stopping all Slug Club suppers. Despite this, he consented to help Harry treat a love potion-struck Ron, then was spared another attempt at acquisition when Ron was subsequently poisoned by some mead Slughorn "forgot" to give Dumbledore for Christmas. Fortunately, chance and Felix Felicis gave Harry the perfect opportunity. One night at Hagrid's hut, after going with Harry to help bid farewell to Aragog, Slughorn reluctantly passed the memory about Voldemort to Harry after getting heavily drunk on wine. Harry, in turn, helped Slughorn obtain some valuable Acromantula venom from Aragog. Harry then passed the memory to Dumbledore. At the end of the school year, Dumbledore was killed by Severus Snape. Slughorn was deeply shaken by this, commenting that he thought he knew Snape. He also expressed his concerns that parents wouldn't allow their children to return to Hogwarts. Nevertheless, he remained at the school and resumed his old post as Head of Slytherin. Minerva McGonagall: "I shall expect you and the Slytherins in the Great Hall in twenty minutes, also. If you wish to leave with your students, we shall not stop you. But if any of you attempt to sabotage our resistance, or take up arms against within this castle, then, Horace, we duel to kill." Minerva McGonagall: "The time has come for Slytherin House to decide upon its loyalties. Go and wake your students, Horace." Slughorn stayed at Hogwarts under the tenure of Severus Snape as Headmaster and, like the rest of the teachers, attempted to protect the students from Snape and the Carrows. When the Dark Lord invaded the castle with his army, it was initially believed that Slughorn had fled in cowardice, but as it transpired, he had gone to Hogsmeade to round up reinforcements. He returned to the castle at the head of vast number of residents and shopkeepers from the town, several Slytherin students who also returned to defend the school, and the friends and family of the students and staff already fighting. Slughorn engaged the Dark Lord head on, with McGonagall and Kingsley, proving himself a masterful duellist, able to hold his own against even the most dangerous Dark wizard of all time. After the battle, he sat at the Great Hall by Pomona Sprout and Filius Flitwick, telling of how he had lost his wand during the fighting, but eventually found it in the folds of his gowns and "dispatched" a few Death Eaters. Professor Slughorn's later life is unknown, though it can be presumed that he remained Head of Slytherin House and Potions master under the new Headmistress, Minerva McGonagall. Dumbledore: "I must say, you make a very convincing armchair, Horace." Slughorn: "It's all in the upholstery, I come by the padding naturally." Slughorn was described as being an enormously fat, bald, old man. He was short with an immense belly, so large that the buttons on his waistcoat usually threatened to burst off. His round stomach was usually said to precede him when he entered rooms, and when he stood, the top of his head barely reached Albus Dumbledore's chin. His girth was seen to take up most of the compartment of the Hogwarts Express and occupy at least a quarter of Honeydukes Sweet Shop. He was described as having a shiny pate, prominent, gooseberry coloured eyes, and an enormous, silver, walrus-like moustache. In his youth, his moustache was gingery blond and his hair was thick and straw coloured. He had pudgy hands, fat thumbs, and a vast forehead, as well as highly polished buttons on his maroon velvet jacket that he wore over his lilac silk pyjamas. Slughorn had a particular liking of lavish, old-fashioned clothes: waistcoats with gold buttons during the day and luxurious velvet smoking jackets when at home. In one particular trip to Hogsmeade, he wore an enormous furry hat and an overcoat with matching fur collar and clutched a large bag of crystallised pineapple. When he duelled Voldemort in the Battle of Hogwarts, he wore an emerald-green pair of silk pyjamas. He claimed to suffer from old age, fatigue, rheumatism, and a weak chest. According to Harry, he seemed remarkably unabashed for someone whom he had just seen pretending to be an armchair. However, he was still sufficiently agile to turn himself into an armchair and create a scene of chaos at short notice when he was trying to avoid unwelcome visitors, and managed to live on the run from Voldemort moving house every couple of weeks (including his grand piano). He had a liking for embroidered clothing, with gold coloured buttons and plenty of velvet. His comforts included soft chairs and footstools, drinks and books, boxes of chocolates and plump cushions, all of which cluttered the room he met Harry in. His largeness fit his personality: he was jolly and genial, bustling around, twiddling the ends of his walrus moustache, and puffing out his massive belly. He sometimes wore a silver pocket watch. Horace Slughorn was described as having a bumbling, jovial sort of personality. He was rather vain and quite fond of food, especially crystallised pineapple. Despite being a relatively good-natured person, he only had eyes for people who he thought had talent, would go far in life, and thus give him helpful connections and be able to influence or gain benefits from them. Thus, while he invited other students to his "Slug Club," he had a tendency to rudely ignore people like Ronald Weasley because he didn't view them as important, talented, or famous enough to warrant his attention. Slughorn is also a bit of a hypocrite, as he told Harry he believed teachers should not have favourites but then proceeded to say that Harry's mother, Lily Evans, was one of his. Shortly after this encounter, Dumbledore told Harry that in fact, while Slughorn was a teacher, he formed a group of his favourite students with him at the centre in order to forge connections, make introductions, and always reap some sort of benefit from them. In addition, he says he isn't prejudiced against Muggle-born students, but seemed surprised that Harry said Hermione Granger was the best in his year; despite this, he asserts that Lily was one of the most talented students he ever taught, and frequently compares Harry's talent to hers in very favourable terms. It seems Slughorn feels that pure-blood students usually displayed the best talent but was happy to bring Muggle-borns or half-bloods into his inner circle if he thought they were talented or gifted enough. Compared to Snape, Slughorn's teaching methods were more friendly, excitable and interactive, not unlike how a good-natured laboratory professor conducts lessons. He also appears to know how to motivate students for his subject; in his first Potions lesson since coming out of retirement, he encouraged his students to concoct for him the Draught of Living Death with a ready bottle of Felix Felicis as reward to the student who does best. He also exhibited no qualms at using his school connections to procure useful assets for his own benefit, as seen when he convinced Pomona Sprout to provide him with plant samples as potion ingredients fresh from the Hogwarts Greenhouses, or when he took advantage of Hagrid's attendant despair to retrieve some of Aragog's prized venom, along with the stocks of unicorn hair Hagrid had inside his cabin. Slughorn generally displayed the more positive traits of Slytherin, such as ambition. He never wished to be famous himself; instead, he preferred to help others become famous, which, if successful, gained him influence and/or benefits from them, such as being able to recommend the next junior member of the Goblin Liaison Office, free Quidditch tickets or a box of his favourite crystallised pineapple. Slughorn has evident self-centredness; he mentioned that all the mead he brought is quite safe as he had a house-elf drink some from each bottle to ensure it was not poisoned. This revelation disquieted Harry, as it showed that Slughorn saw nothing wrong with risking a house-elf's life to protect his own. Although, there is the possibility Slughorn possessed an antidote to give the house-elf if poison was present in the drink. 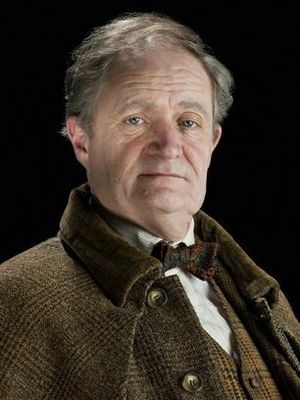 Slughorn was keen to make evermore connections, and in his post as teacher, made a habit of having regular meetings with students who were either famous (Harry Potter), related to famous people (Cormac McLaggen), or gifted or talented in one way or another (i.e. Hermione Granger, Ginny Weasley). Known as "the Slug Club," this group of students were constantly being invited to Slughorn's office for dinner and parties. Students that he did not consider to be "high-fliers," such as Arthur Weasley, and later his son Ron, were simply ignored. However, those with negative affiliations, such as Draco Malfoy, due to his father being a Death Eater, weren't invited to the club meetings either. Slughorn's personality, in many ways, contradicted the "evil Slytherin" stereotype held by many students of the other Houses, Gryffindors in particular. He wasn't a bad person, and didn't seem to hold any real prejudice against Muggle-born witches and wizards. While he thought pure-bloods generally had more wizarding talent, he was always happy to meet and teach Muggle-borns and half-bloods who displayed great potential. He was, however, self-serving enough to favour students of status or talent, largely for the purpose of benefiting from his connection to them in the future. He was horribly guilt-ridden about the information he gave to Tom Riddle about Horcruxes, and crudely edited his memory of the event to prevent anyone finding out what he had done, as much as to relieve his own guilty feelings. Though Albus Dumbledore would undoubtedly have tried in earnest to convey the importance of the contents of the original memory, Slughorn stubbornly refused to give it up till 1997. He was also horrified at his accidental poisoning of Ron Weasley and later came to visit him in the hospital. Despite his ambition, Slughorn knew where to draw his personal boundaries. His tendency to ally himself with powerful, talented, and important people never blinded him to his moral values, and thus, he was never tempted to join forces with Lord Voldemort and his Death Eaters. Unlike Peter Pettigrew, Dolores Umbridge and others who were keen to surround themselves with big people, he was not one to side with whoever was winning. Slughorn knew where his loyalties lay, and he fought against Lord Voldemort head on during the final battle. During the final battle it was initially thought that Slughorn fled in cowardice with the other Slytherins, but he had actually only left to round up reinforcements and returned to the battle. This, along with the fact that he fearlessly stood up to Voldemort himself, showed that he was a courageous man. He was also strong willed and was able to master Occlumency, a rare ability that required a strong mind. Horace Slughorn: "What would the Death Eaters want with a poor, broken-down old buffer like me?" Albus Dumbledore: "I imagine that they would want to turn your considerable talents to coercion, torture, and murder." Horace Slughorn was a very powerful wizard, with a wide variety of skills. Lucius Malfoy commended his son about Slughorn's competence and Albus Dumbledore respected Slughorn's abilities, saying that he was an extremely able wizard. Occlumency: Horace was an extremely able Occlumens, being able to shield his mind against even a wizard of Albus Dumbledore's calibre. Memory modification: Horace was able to modify his own memory to make it seem something less horrible, as seen in the case of Tom Riddle asking about Horcruxes. However, this was crudely done, as parts of the memory were clouds with a booming voice, rather than an actual visual. Transfiguration: Despite his wide frame, Horace was extremely agile, being able to create the impression of a struggle within his house in a matter of seconds and transforming himself into an armchair; human transfiguration is something only a master of that art could accomplish. Duelling: Slughorn was a master duellist, being able to survive the battle of Hogwarts and hold his own against even Lord Voldemort himself. However it should be noted that he fought alongside Minerva McGonagall and Kingsley Shacklebolt. Also, although Voldemort was wielding the Elder Wand at the time, the Dark Lord had not unlocked the Wand's full power. Plus, Harry Potter's loving sacrifice was preventing Voldemort from fatally harming anyone who opposed him. Non-verbal magic: In 1996, Slughorn and Albus Dumbledore fully restored an entire room that had been torn to pieces with "one identical sweeping motion" of their wands and neither said anything. He extracted one of his own memories from his temple for Harry Potter with no incantation. It is also not mentioned that Horace said anything during his duel with Voldemort. Charms: Slughorn was able to fix a whole room with one spell (with Dumbledore's help), give Harry one of his memories and cast the Anapneo charm easily and without fail. Defence Against the Dark Arts: Since Slughorn knew quite a lot about the theory of Dark Magic and was able to duel the most powerful Dark Wizard ever it can be assumed that he knew a good deal of advanced defensive magic. He also helped cast an extremely powerful shield around Hogwarts that temporarily kept Voldemort and his minions at bay. Dark Arts knowledge: Considering he was the one who taught the young Tom Riddle what horcruxes were, it is obvious that Professor Slughorn had a high level of knowledge on the Dark Arts. Although Tom Riddle was a brilliant student, he was not capable of discovering the true nature of horcruxes, without help from Slughorn. Slughorn likely purchased his wand from Ollivanders at the age of eleven before starting his first year at Hogwarts School of Witchcraft and Wizardry, like many other wizards in wizarding Great Britain. It is comprised of unknown wood and core materials. The handle has two prongs extending out of the end, which might relate to his surname 'Slughorn'. Slughorn's hourglass is a clock made of two glass vessels connected with a narrow passage, with a green fluid flowing through inside and serpent design outside (representing him as a Slytherin and Head of House). He owned it since before Tom Riddle began studying at Hogwarts. The sand runs accordingly to the quality of the conversation: if stimulating, the sand runs slowly, and vice versa. Horace also owned a rather expensive briefcase made of prized Dragon-skin which he uses to hold his personal things, mainly documents related to the subject he teaches at school. This is where Slughorn stored his ready supply of potion ingredients. Horace pulled out several components inside it to mix up an antidote for Ron's love potion-induced lovesickness upon Harry's request to cure his friend. It is also from here where Slughorn placed a bezoar that Harry showed him in one of their lessons. Horace owned a piano. When he used to escape from Death Eaters, he took the piano with him, making sure "neighbours don't spot him bringing in the piano"
During her time at Hogwarts, Lily Evans proved to be very talented at Potions, becoming one of Slughorn's best students and a member of his Slug Club. Slughorn considered her one of his favourite students, though he was surprised by her Muggle lineage. Slughorn believed Lily to be a kind, witty, and charming student, and he doubted that anyone who met her wouldn't like her. Lily also gave Slughorn a bowl with some water, and a petal from a lily that transformed into a fish, which he named Francis. When he saw that Francis had disappeared one day, Slughorn realised that Lily Evans had died. He was very upset when he heard what happened to the Potters, and he continued to mourn Lily even many years after her death. Harry Potter used Slughorn's fondness for Lily to his advantage while under the effects of Felix Felicis, and successfully persuaded Slughorn to give him the true memory of Tom Riddle's inquiry about Horcruxes, claiming that it would undo whatever wrong Slughorn had originally done. Horace Slughorn first met Harry Potter in 1996, when Harry and Albus Dumbledore tracked him down at the Muggle home he was borrowing at the time, to persuade him to return and teach at Hogwarts. Given Slughorn's tendency to "collect" famous, well-connected, or talented young minds, Slughorn gave in to Dumbledore's request upon meeting Harry. He became Potions master for the 1996–1997 school year, and wasted no time in inviting Harry to join his "Slug Club." With the help of the Half-Blood Prince's Potions textbook, Harry appeared to be following in his mother's footsteps as a great potioneer, which further earned Slughorn's favour. During one of their private lessons, Dumbledore showed Harry a memory of Slughorn's, in which a young Tom Riddle asked the Potions master about Horcruxes. However, as the memory was obviously and unconvincingly edited to make it seem as if Slughorn had refused to answer, it was impossible to discern exactly what it was Riddle had wanted to know about Horcruxes. Dumbledore told Harry that the original memory would undoubtedly be essential in determining what ultimately defeating Voldemort would entail, and assigned Harry with the task of retrieving it. Slughorn sensed that Harry wanted to retrieve the memory, and subsequently tried to avoid him. He stopped Slug Club dinners, and would flee at the end of Potions. He felt very guilty for giving Tom Riddle information on Horcruxes. Harry: "I'm going to tell you something...something other have only guessed at...It's true. I am the Chosen One. Only I can destroy him, but in order to do so, I need to know what Tom Riddle asked you all those years ago in your office, and I need to know what you told him...Be brave, Professor... be brave like my mother...otherwise you disgrace her...otherwise she died for nothing...otherwise the bowl will remain empty... forever..."
Horace: "Please...don't think badly of me when you see it...you've no idea how he was like, even then..."
After several failed attempts, Harry eventually finessed the memory from a very drunk Slughorn, with the help of Felix Felicis and the opportunity for Slughorn to collect a few vials of valuable Acromantula venom. The 'sluggish' memory is Slughorn's memory of what he said to the young Tom Riddle, which he himself tried to blot out. The word 'sluggish' suggest that the memory is slow, lethargic, and difficult to arouse. The memory allowed for Dumbledore to confirm his suspicions that Voldemort had been planning to create seven Horcruxes, and for Harry to continue Dumbledore's mission of destroying them. Professor Slughorn was the Potions master during Tom Riddle's years at Hogwarts School of Witchcraft and Wizardry. As Head of Tom's House, and given his tendency to favour students who displayed talent of some sort, Slughorn became Riddle's mentor, and was likely the professor Tom liked most. One day, Riddle asked Slughorn about Horcruxes, and Slughorn, — after convincing himself Tom's intentions were "purely academic" —, reluctantly told him what it basically took to create one, though he refused to give Tom any details. Most significantly, when Tom asked if it were possible to create more than one Horcrux, Slughorn seemed appalled by the idea of it, but did not deny that it could be done. With that information in hand, Riddle managed to create seven Horcruxes and achieve something near immortality. Horace was ashamed when he remembered what had happened, and he modified his own memory. It is unknown if Slughorn was involved when Voldemort rose to power during the First Wizarding War, however it is unlikely as he was appalled about Tom creating Horcruxes and he was seen fighting him during the Battle of Hogwarts. However, Harry Potter managed to take the original version of the memory with the help of Felix Felicis, in 1997, and from it, he and Dumbledore gleaned crucial information about what Voldemort had done and what it would take to destroy him. Slughorn fought Lord Voldemort head on, with the help of Minerva McGonagall and Kingsley Shacklebolt, during the Battle of Hogwarts, in 1998. Albus Dumbledore and Horace Slughorn were colleagues at Hogwarts School of Witchcraft and Wizardry at least from 1920 until 1981, when Slughorn retired and Severus Snape took his place as Potions master. As Slughorn was equally disinclined to join the Order of the Phoenix as the Death Eaters, Dumbledore most likely accepted Slughorn for the fairly self-serving, but overall harmless and genuinely talented Wizard he was. Dumbledore asked Slughorn to resume his old position in 1996, and Slughorn accepted after being enticed with the prospect of being able to teach Harry Potter. Dumbledore wanted to tread carefully with Slughorn and not force him to divulge the memory because it would ruin their friendship. Dumbledore feared that if Slughorn felt betrayed, he may even leave the school and join the Dark Lord. Dumbledore suspected that Slughorn may have inadvertently given Tom Riddle some dangerous information; in order to determine exactly what Riddle had been planning to use it for, Dumbledore attempted to retrieve the memory of the specific discussion from Slughorn. Ashamed of what he'd allowed himself to be charmed into doing, Slughorn modified his own memory and gave Dumbledore that version. Given Slughorn's fondness for famous and/or talented students, Dumbledore tasked Harry Potter, arguably the most famous student Slughorn would ever teach, to retrieve the original memory. As Dumbledore had predicted, Harry had been in the perfect position to convince Slughorn to allow the truth to be uncovered, and together, Harry and Dumbledore set about the task of destroying Voldemort's Horcruxes. Horace was highly shocked by Dumbledore's death and attended his funeral. During the Battle of Hogwarts, Horace fought the Dark Lord head on in honour of his friends death and to protect his former students and school. Slughorn prefers to associate with well-connected students or those with promising future careers. The coterie of students that he has collected around himself is nicknamed the 'Slug Club', from the first part of his surname. Horace believed all of his favourites had the potential to become highly successful, and hoped to benefit in the future from fostering connections with them early on. Some of his former students who had already met or exceeded his expectations by the time he resumed teaching at Hogwarts in 1996, were Ambrosius Flume, Dirk Cresswell, Barnabas Cuffe, Eldred Worple, Gwenog Jones, and Wendy Slinkhard. However, there were other of his former pupils who achieved some degree of fame (or more accurately, notoriety) with whom he didn't maintain contact, nor did he approach their children in 1996, as he had no desire to be associated with Death Eaters — these former pupils included Lucius Malfoy, Avery, the Lestranges, Nott, and Goyle. Some members of the Slug Club during Horace's second tenure as Potions master at Hogwarts were Harry Potter, Hermione Granger, Ginny Weasley, Blaise Zabini, Cormac McLaggen, Flora and Hestia Carrow. All of them possibly had connections with someone famous, except for Hermione and Ginny, who were chosen because of their magical abilities. Slughorn especially appeared to like Hermione, who was arguably the all-around top student of her year. There were other students who were invited for an interview, but didn't make the cut, such as Neville Longbottom, who appeared to lack the talent his parents had displayed as great Aurors, and Marcus Belby, whose family was not particularly close to his famous Potioneer uncle. Ron Weasley was not invited to join the club, much to Ron's frustration, considering both of his best friends were members. Horace didn't seem to think much of him at first, and often forgot his name, calling him "Ralph" or "Rupert". However, Horace appeared to grow to like him as a person, as he wished Ron a "happy birthday" and visited him at the hospital wing after Ron was poisoned. Horace Slughorn had a good relationship with most members of the Hogwarts staff. In addition to having been an old friend and long-time colleague of Headmaster Albus Dumbledore, Slughorn was quite friendly with the other members of the Hogwarts staff. He was quite familiar with Severus Snape, the former Potions professor, and one of his former students. Slughorn possibly considered Snape to be a very intelligent and talented student, and invited him to join his Slug Club. They appeared to have a good relationship even during their later years as professors, until the 1997-1998 school year, after Snape apparently murdered Albus Dumbledore and usurped his position as Headmaster of Hogwarts. However, Slughorn later learned that Snape was, in fact, a loyal member of the Order of the Phoenix. He was also a friend of Minerva McGonagall, the Transfiguration professor; though the two were heads of rival Houses, that was not a factor likely to affect their relationship, as, like Minerva, Slughorn did not give preferential treatment to the students of his own House. However, the fact that he did give preferential treatment to students based on other things may not have sat terribly well the Transfiguration professor. However, in 1998, during the Battle of Hogwarts, Minerva told Slughorn that, if he and his students wanted to join Lord Voldemort, she would fight against them. Slughorn was shocked, possibly because he didn't expect McGonagall to believe that he would ever join the Dark Lord. Later in the battle, Minerva and Slughorn together duelled Voldemort directly, and both survived. Slughorn also had a good relationship with Filius Flitwick and Pomona Sprout. They appeared to be familiar, as they discussed the events of the Battle of the Astronomy Tower and seemed to trust each other. Slughorn, Flitwick and Sprout also witnessed Severus Snape fleeing before the Battle of Hogwarts, and they joined the battle, all of them surviving. Although the latter claimed they were never close, Horace also appeared to be quite familiar with Rubeus Hagrid. Hagrid might have been one of Slughorn's students during his years at Hogwarts. In 1997, Horace was invited to a funeral Hagrid held for Aragog, his pet Acromantula. They drank and sang together in celebration of Aragog's life (and more likely, his valuable venom, for Slughorn's part), and the occasion afforded Harry Potter the opportunity to retrieve Slughorn's original memory of Tom Riddle asking about Horcruxes. Also they might have become great friends after the funeral, considering he comforted Hagrid during Aragog's funeral which may have meant alot to Hagrid. Although the two worked in different years, Slughorn knew of the previous Defence Against the Dark Arts teacher Dolores Umbridge, and having kept track of the goings-on despite going into hiding, he heard that she was dragged into the Forbidden Forest by a herd of Centaurs. Upon Dumbledore explaining that she angered the centaurs by storming into the forest herself and calling them "filthy half-breeds", Horace expressed his disdain for her, claiming that she was an "idiotic woman" and that he never liked her. 'Horace' was the name of an epicurean Roman poet, fond of food and someone who liked to make friends with people of influence. More commonly, a 'slug' refers to the garden slug, a cousin to the snail but without the shell. Additionally, 'Slughorn' is a historical heraldic term meaning 'war-cry', derived from an old Scottish word and later becoming the modern 'slogan', but may also be derived from his large, sluggish physique. Horace is portrayed by British actor Jim Broadbent in the film adaptations of Harry Potter and the Half-Blood Prince, Harry Potter and the Deathly Hallows: Part 1 (voice only) and Harry Potter and the Deathly Hallows: Part 2. In the film Horace , is depicted in tweed outfits rather than the described velvet, and is not bald. In Harry Potter and the Half-Blood Prince, Rubeus Hagrid mentions to Harry that he "never had a lot to do" with Slughorn, implying the two had never had any interaction with each other. However, seeing as Tom Riddle went to school with Hagrid, it follows to the conclusion that Horace taught Hagrid. As there are teachers and students that never really relate in all walks of life, Hagrid might well have simply been saying that Horace had never had any direct interaction during his time at school. Slughorn's exact age is never specified, although it is known that he was old enough to teach Tom Riddle (who started Hogwarts in 1938) and younger than Albus Dumbledore (who was born in 1881). If we assume a Potions Master must have finished school at Hogwarts before becoming a teacher, this means Slughorn was born no later than 1921 -- and, in all likelihood, earlier than that, since 17-year-old teachers do not seem to come by very often -- and no earlier than 1881. Although in the novel of Harry Potter and the Half-Blood Prince Horace mentions that he taught Snape, in real life Jim Broadbent (born May 1949) who plays Horace is three years younger than Alan Rickman (born February 1946) who plays Snape. Horace's direct duel with Voldemort, alongside Minerva McGonagall and Kingsley Shacklebolt is omitted from the film. Instead he takes a swig of something stached under his cloak, then begins casting protective charms such as Protego Maxima. He is later seen tending to Argus Filch's wounds, and regaling his triumphs in the battle with Filius Flitwick and Pomona Sprout. In the film adaptation, Harry comes across Horace getting some herbs with the help of Pomona Sprout, in the movie, Harry finds him stealing tentacula leaves without her knowledge with the intent of selling them. One of the names Slughorn calls Ron Weasley is Rupert. Ironically, the actor that plays Ron in the film adaptation of Harry Potter and the Half-Blood Prince is Rupert Grint. As she wrote the book after the Harry Potter film series began, this might be a nod on J.K. Rowling's part. ↑ 1.0 1.1 Slughorn taught Tom Riddle when he was at school, so he must have been at least 17 years old when Riddle started in 1938. The earliest possible birthdate is 1881, as Dumbledore commented in chapter 4 of Harry Potter and the Half-Blood Prince that "You're not yet as old as I am, Horace." ↑ On Pottermore - "New from J.K. Rowling: Pure-Blood", the Slughorns are mentioned to have been included in the Pure-Blood Directory published in Britain in the 1930s. As Horace Slughorn was already alive by 1930, this establishes that he must be a pure-blooded wizard. ↑ Harry Potter and the Half-Blood Prince (film) Disc 2, Additional scenes, Harry and Hermione Discuss Marauder's Map. This page was last edited on 6 July 2015, at 16:48. This text is available under the GNU FDL and may have been adapted from the Wikipedia article about Horace Slughorn (history).